If you have pallet racking that you no longer need, get in touch with us now with as many details as you can give us. We are always in the market for medium to large sized parcels of quality used racking and we can arrange to dismantle and transport your warehouse racking if required. Leading manufacturers such as Link 51, Redirack, Dexion and PSS are always in demand, but we will consider all pallet racking systems if the quality and quantity is right. 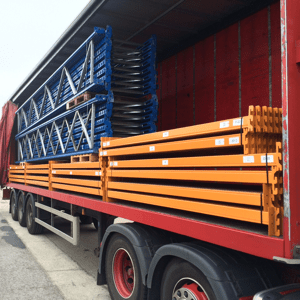 We have recently taken delivery of industrial racking from Carlisle, Lincoln, Coventry and Portsmouth, so wherever you are in the UK, if you are thinking of selling your pallet racking please get in touch with us now. Give us a call on 0800 612 3210 or send us the details on an enquiry form and we will get back to you quickly.